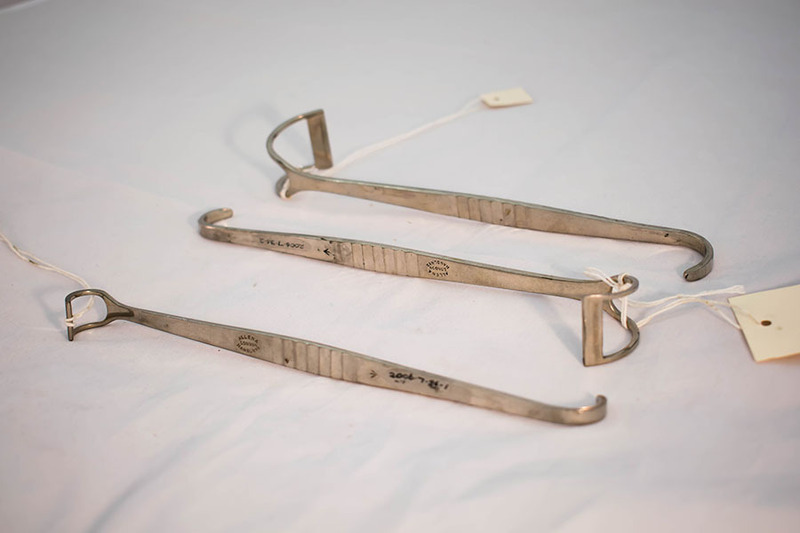 3 Canny Ryall retractors, all of which are double ended with a single hook blade and fenestrated blade. 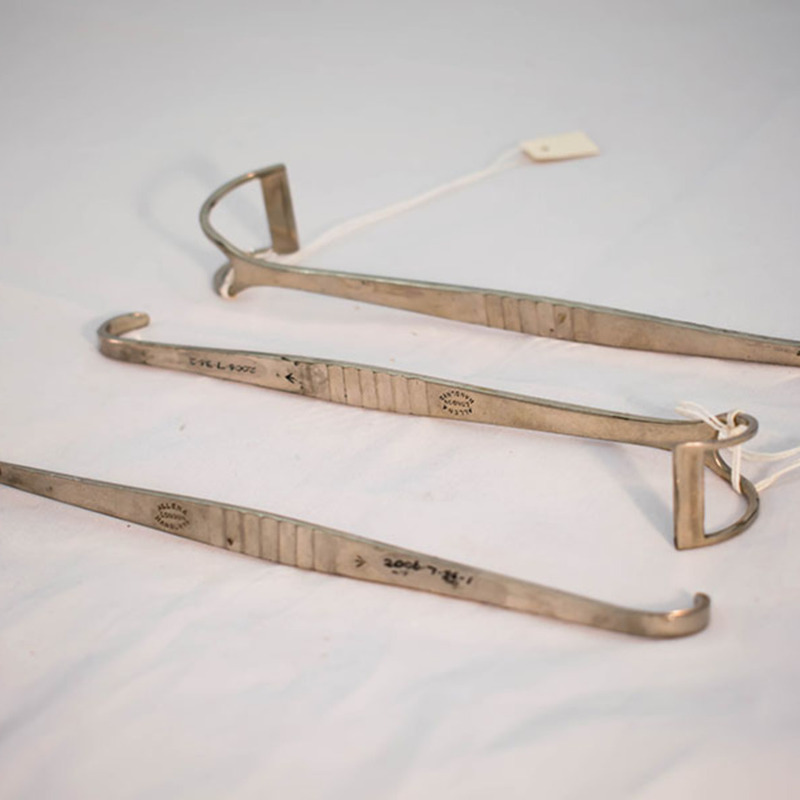 “Set of Canny Ryall's Retractors,” Heritage, accessed April 23, 2019, https://heritage.rcpsg.ac.uk/items/show/484. Description: 3 Canny Ryall retractors, all of which are double ended with a single hook blade and fenestrated blade.